The first text adventure I played was the 1986 Commodore 64 version of The Pawn by Magnetic Scrolls, and I loved it. The iconic image of the rolling landscape and the path leading north to two snow-capped mountains that greeted the player - who was given no clear idea of what to do next - mesmerized me at first sight. The much-lauded parser, famously able to disambiguate a phrase like "plant plant in plant pot with trowel", was described as being on a par with with Infocom's, and, to my 1980's sensibilities and as far as I was concerned, was just about as good as being there. At the beginning of the story, you, the player, are given a sketchy outline of the circumstances that brought you from your own environs to the land of Kerovnia with no knowledge of the reason or your purpose. Wandering around, you find that you have been given a wristband that prevents you from crossing the border of the country. So begins the quest to remove the wristband, which involves a tour of encounters with a number of colorful characters such as a magician, a guru, and a legless horse. Along the way you must solve a number of puzzles, and if all goes well and 350 points later you may be released from Kerovnia. Kerovnia is a strange place; an unusual amalgamation of fairy figures, such as a dragon, a princess, and a talking horse, combined with some more exotic characters such as a guru, a group of alchemists and none less than Jerry Lee Lewis, who plays a grand piano with a lid that opens on the wrong side. 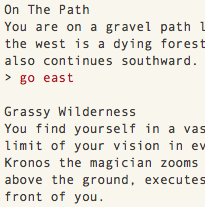 There are some playful references to the tropes of text adventures as they were at the time. A maze at the edge of the map with no other purpose than to leave it again, for instance. A slightly incoherent experience all in all, more like a collection of little ideas. On the other hand, is real life coherent? I don't think so. Replaying the game after some thirty years makes it clear that this story is not quite as good-natured as it is entertaining. In the beginning you are given an assignment to kill an adventurer that is questing to rescue a princess - a princess that you may then yourself release from confinement in an ice tower. However, doing the latter will leave you with fewer points than leaving the princess where she is and opting for another course of action, which itself seems to have little purpose for an uninformed foreigner in Kerovnia. In another nook of the map, you can increase your score by improving a little plant's living circumstances. For someone who cares about the fate of his NPC's this may be somewhat disturbing, and some have opined that this game is somewhat cruel. Thirteen hobbits would probably agree. 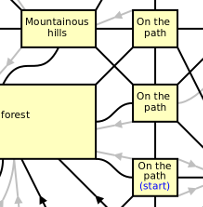 Some versions of The Pawn featured bit-mapped images, as opposed to the crude vector-drawn pictures that could be found in some contemporary adventure games. Revisiting Kerovnia in the present day gives the opportunity to make a side-by-side comparison of the thirty images featured in two popular ports, for the Commodore 64 and the Amiga. The 16-bit Commodore Amiga had been released one year before the introduction of The Pawn. This computer is regarded by some to be the first "multi-media computer", offering better sound and graphics than other machines of the era. 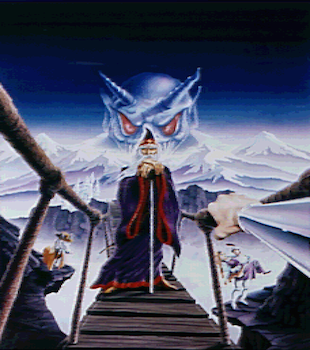 However, the bitmap images featuring in this adventure (with the exception of the splash screen) are the same as for the Atari ST with a resolution of 320x200 pixels and 16 colors out of a palette of 256. The 8-bit Commodore 64 had been introduced in 1982 and offered comparitively modest capabilities. Multicolor mode on a C64 meant a resolution of 160x200 pixels and a choice of 16 fixed colors, with a further limitation of a maximum of four colors per 4x8 pixel block. Some downscaling in size and color depth was obviously necessary. Below is a number of comparisons between the graphics of the two platforms at a few locations. 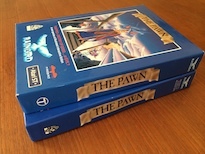 The C64 version is on the left, and the Amiga version on the right. 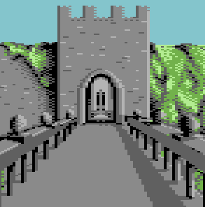 The C64 images all have the same size and are rendered using non-square pixels that are twice as wide as they are high. The Amiga images have slightly varying sizes and aspect ratios. "On the path." The opening scene of the game and the only one that seems quite different between the two versions. 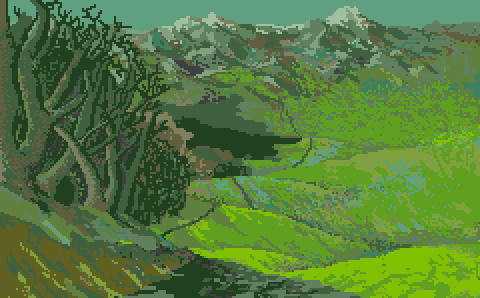 Despite the lower number of colors used, the C64 really shines here. 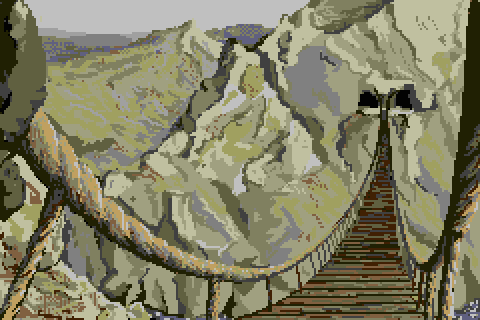 "Rope bridge." The conversion to C64 works well, being slightly cropped like in many scenes in this game. "Inside the hut." 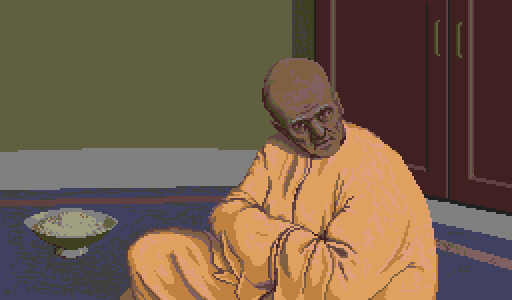 In this case the lower color depth and the low horizontal resolution show the limitations of the C64 in the rendering of the Guru. The original version of The Pawn was made for the Sinclair QL and came out in 1985. The QL was a low-cost Motorola 68k machine designed to compete with the wave of other 16-bit computers that were announced or came on the market in that time, notably the Apple Macintosh. For various reasons the QL did not achieve a significant market share, and consequently The Pawn also didn't sell in great numbers. QL-Pawn, as it is sometimes referred to, was published by Sinclair. It came in a typical black QL clamshell box or "wallet" in a grey cardboard sleeve, containing the game on the typical microdrive cartridges and a small instruction booklet. It's rather difficult to find and - like the QL computer itself - is becoming pricey. 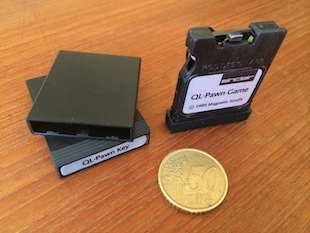 Microdrive cartridges of The Pawn for QL (€ 0.50 coin added for scale) and two packaging variations of the version marketed by Rainbird. 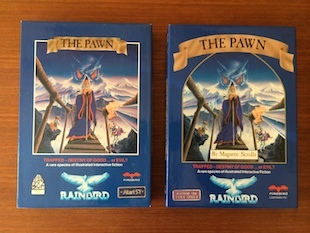 Magnetic Scrolls soon ported The Pawn to platforms with a much greater presence; distribution and packaging was now managed by Rainbird, who also distributed titles by Level 9, Argonaut Software, and Microprose. 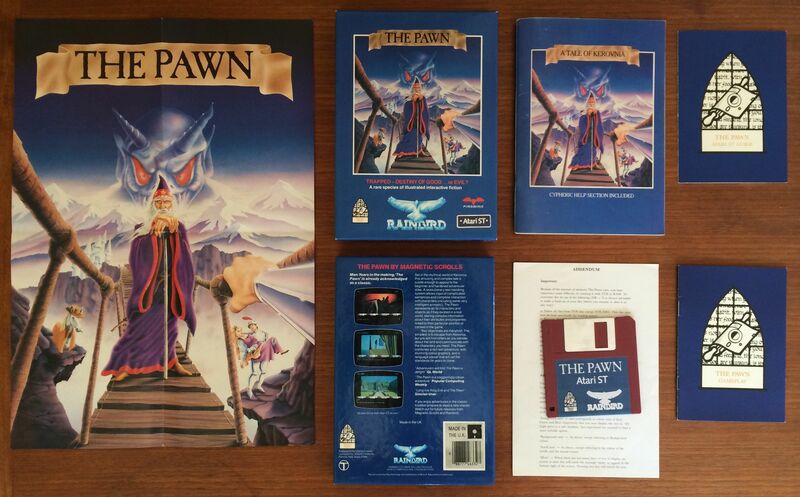 This incarnation came out in 1986 and was much more succesful; The Pawn received very favorable reviews in magazines (in no small part due to the graphics and parser) and became a great seller. 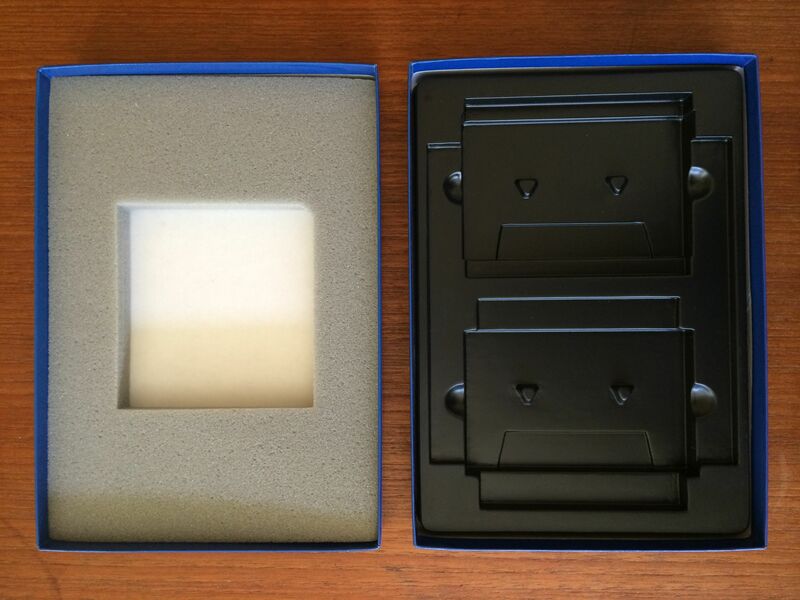 The version published by Rainbird was more luxuriously packaged in the typical blue Rainbird box. 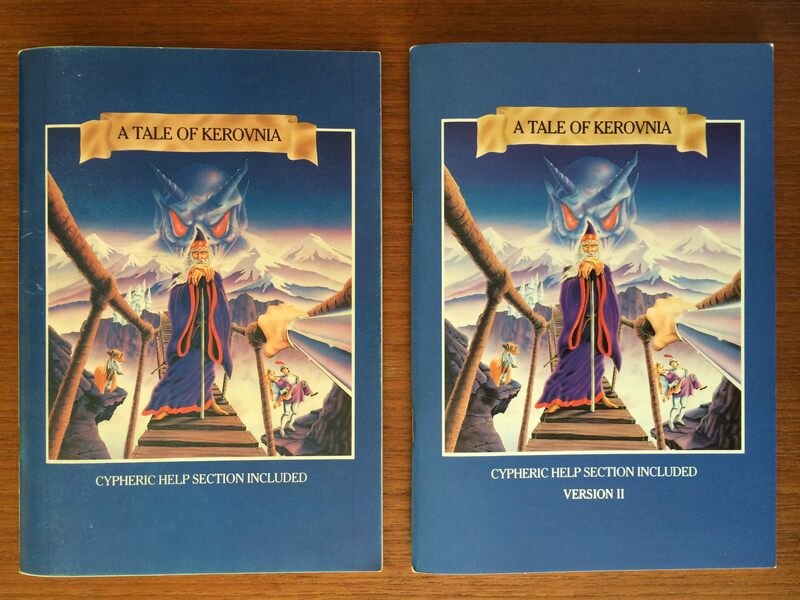 It contained one or more disks (or in the case of the Sinclair Spectrum 128k, a cassette), a gameplay manual, a system-specific guide, a "Tale of Kerovnia" novella including a cypheric help section, and a folded poster. This version is much easier to obtain through sites like ebay. Contents of the Rainbird packaging. 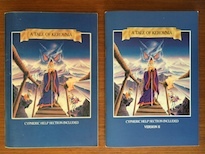 Clockwise from left: poster, box lid, "A tale of Kerovnia" novella, system-specific guide, player's guide, diskette (in this case with an addendum for Atari ST), box back. 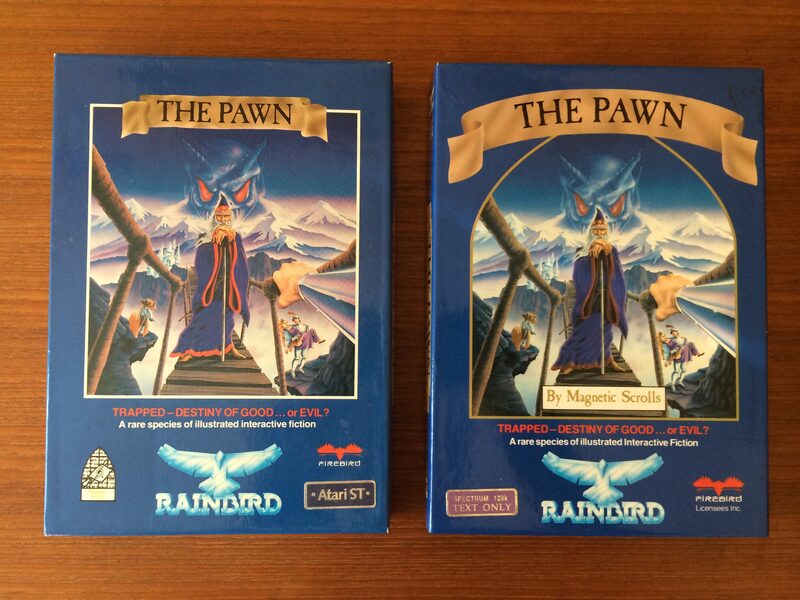 There are two versions of the Rainbird packaging. The earlier of the two featured a white square framing the image on the box lid, while the later variation had a "window" shaped frame reminiscent of the Magnetic Scrolls logo, and a somewhat larger banner for the title. 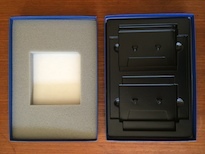 Other differences, shown below, can be found in the markings on the sides of the box (top is earlier), in the versions of the novella (left is earlier), and in the insert for holding the magnetic media in place (left is earlier). If you are done playing The Pawn - or if you do not intend to play the game at all - you might still be interested in reviewing the images of the game or examining a map. You might also find some amusement in perusing the spreadsheet that I made containing some (or most) of the responses of the NPC's when asked about certain other NPC's or phenomena encountered in The Pawn. 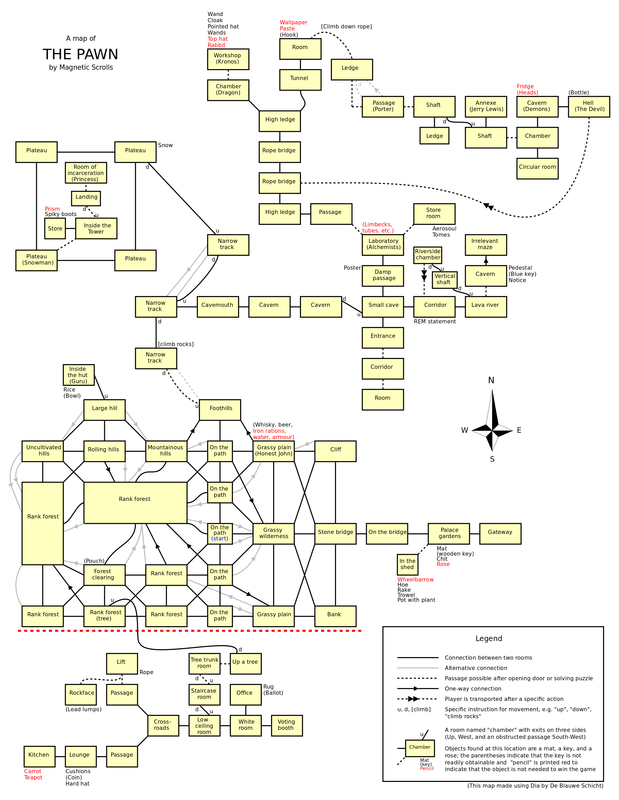 Full map of The Pawn, showing all rooms and most objects. All images found in The Pawn for the C64 and the Amiga (.zip). Magnetic-compatible walkthrough script for the game. The Magnetic Scrolls Memorial has a fantastic collection of interpreters and information about Magnetic Scrolls games. More information at the Magnetic Scrolls Chronicles.